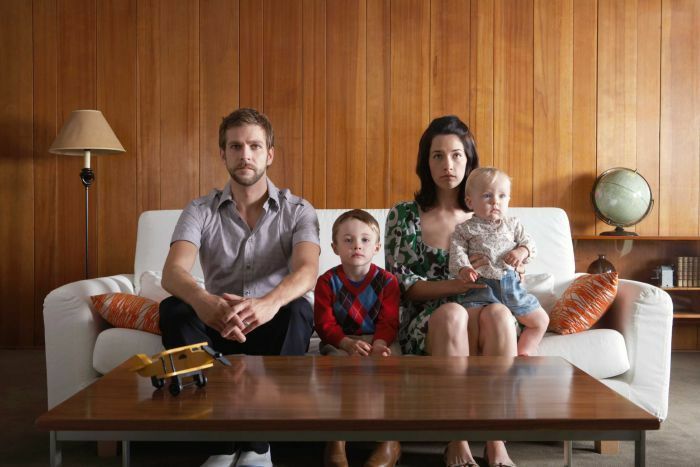 Your Bad Habits Can Affect Your Kids - Quit These Ones Now! 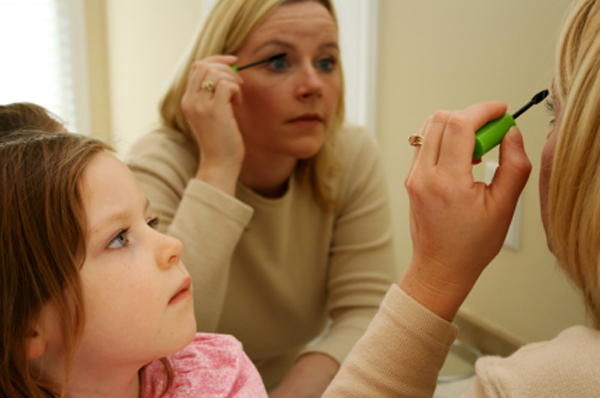 Your Bad Habits Can Affect Your Kids – Quit These Ones Now! We all have some habits or mannerisms that bother us or that we’d like to improve “someday”. Some people complain a lot, some like to gossip, and some might just get a little competitive at times. But those habits aren’t hurting anyone else, so they’re not really a big deal. Right? You might think your children don’t notice those bad habits, but they pick up on everything you do. Leading by example is one of the most effective ways to raise conscientious kids with good value systems and healthy habits of their own. 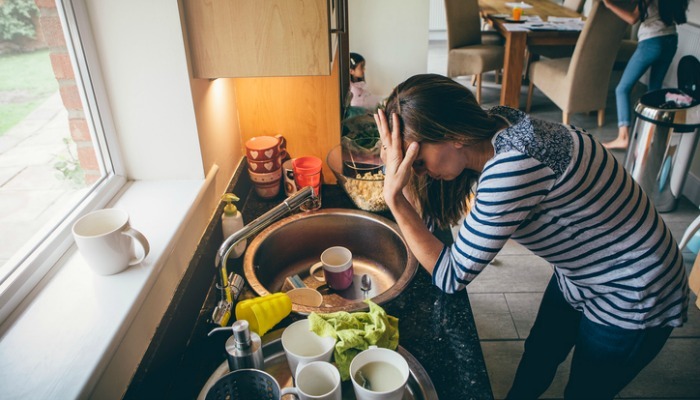 You might want to check yourself for these particularly bad habits before your children are negatively affected by them. An unhealthy diet is one of the trickiest habits to overhaul. It’s a daunting task even for non-parents, but once you add in the time, stress, and responsibility of raising a family on top of working and taking care of everyday household chores and errands, the act of eating healthier can seem impossible. But your mini-me is watching you all the time, and if you usually opt for drive-thru instead of healthy food on those busy evenings, it’s going to make an impression on her. Even when you’re making sure that your kids are getting the best nutrition possible, they’re going to remember your own food choices when they’re old enough to make decisions for themselves. It might take a little longer, but time spent preparing food with your kids can be very rewarding (in addition to being healthy). 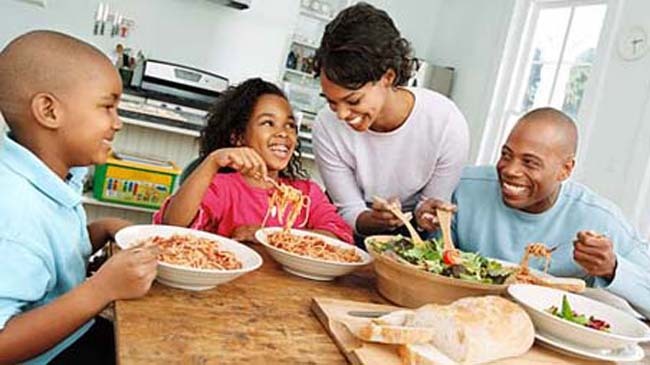 Bonus: kids who eat with their families tend to be less obese throughout their lives. This bad habit frequently goes hand-in-hand with a poor diet: many of us just can’t seem to find the time to exercise. But before you crash on the couch after a long day at work, consider how your kids will interpret this and whether your choice could inspire them to skip time spent being more active. Instead, why not go on a walk or a bike ride as a family? Being active will give you more energy in the long run, even if you might feel that it’s easier to go the sedentary route. Remember – monkey see, monkey do! Gossip is the spreading of personal information or rumors, usually presented in a critical or even derogatory tone. Most of us probably indulge in gossip in one form of another. It’s an easy activity to fall into when you’re in the company of close friends or colleagues. But gossip is a sign of poor self-esteem and it’s not a behavior that most find appealing or attractive. In fact, it can lead to painful outcomes like hurt feelings and bullying. Child development specialists agree that children tend to start engaging in their own gossip around age nine or ten. If they’ve overheard you criticizing others, they’re much more likely to spread negative gossip themselves. Try saying nice things about others instead of repeating unsubstantiated gossip and judgments, and see if your kids treat their peers better as a result. Be honest: how many times have you ever made comments about feeling fat, or not wanting to be photographed because of how you look? Even if you do nothing but praise your kids, the message they’ll likely pick up from your self-criticism is that our worth stems largely from physical appearance. This is a dangerous, albeit unintentional, message to teach children. An emphasis on physical appearance can lead to serious problems such as eating disorders and body dysmorphia. Bottom line: even if you’re not happy with what you see in the mirror, act as though you accept what you see. You kid’s future self-esteem will thank you. Many people (wrongfully) think that admitting their mistakes our faults makes them look weak, but the opposite is true. It takes a big person and a lot of strength to admit when you’re wrong about something. Only people who are able to face their errors head-on will be able to learn from those mistakes and correct them. This isn’t just an important concept in adult life or the business world, it’s a great concept to teach your kids. If you’ve been stubborn to admit your wrongdoings in the past, maybe now is a good time to reverse that policy. Show your children how to admit when they’re wrong and apologize when necessary, and you’ll be raising kids who are less likely to repeat the same mistakes over and over again. It’s hard to stay focused these days, with all the distractions coming our way from a variety of sources. Many parents find it tempting to multi-task while they’re with the kiddos, but children notice if Mom or Dad seems to be paying more attention to their iPhone than to them. It pays to remain “in the moment” when spending quality time with your children. Not only will you enjoy your time together more (after all, how effectively do you really think you’re listening to your kid when you’re responding to work email or checking Facebook?) but your child will notice and will learn to value “IRL” interactions more. Have you ever been to a concert and watched in confusion as the person in front of you viewed the entire performance through their iPhone as they videoed it? They missed the experience of attending a live concert altogether in lieu of having the entire thing on film. Many parents are guilty of the same behavior. Although the desire to document every moment with your kids stems from good intentions, it’s healthier for the entire family if you put the camera down every now and then to experience the moment with your child. She’ll definitely feel more special if she doesn’t have to compete for attention with your selfie stick. This is another bad habit that’s tied to our dependency on phones and other devices. Many parents find it tempting to photograph and share every moment in their children’s waking lives. It’s an understandable impulse – we are proud of our beautiful families and want the world to see. But there are repercussions to your oversharing. Your children deserve privacy, and before they’re able to provide consent to, say, a photo of their toilet training session, you should consider their future embarrassment. Many older kids say they’re now mortified by the things their parents posted when they were too young to understand what was going on. And some teenagers are now (successfully) suing their parents for social media oversharing. Even worse, kids who see their parents post too much are likely to do the same once they’re old enough. Do you want your pre-teen tweeting overly personal photos? Probably not. Let’s face it – it’s easy to get wrapped up in the pursuit of material items. Social media sites like Facebook and Instagram encourage the sharing of photos depicting exotic vacations, glamorous homes, and new cars. 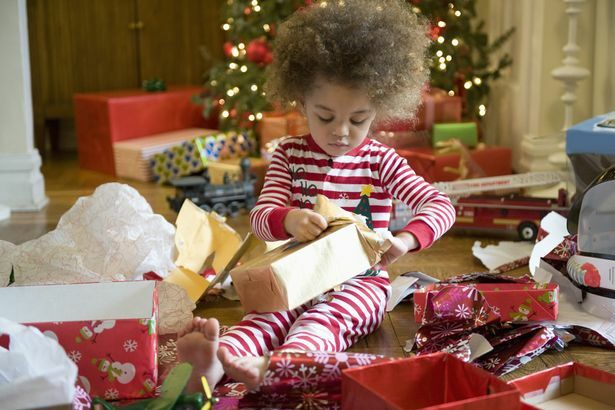 And it’s just as easy for our kids to get jealous over their friends’ new toys and gadgets, so if you can downplay your interest in those social media posts that feature material items you are setting a great example. Teach your children about the value of money without glorifying it. Make it clear that experiences shared and time together are also valuable. Spend a day making a favorite craft or visiting a museum that interests your kids, rather than an activity that costs a ton of money. Show them that some of the best things in life really are free, and they will thank you later. 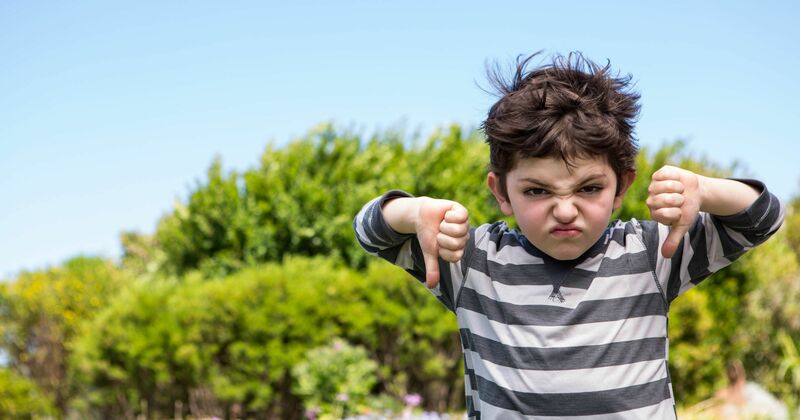 We’re not encouraging parents to take up sky-diving or bungee jumping, but being completely averse to trying new things is not setting the right example for kids. Children who see their parents trying new activities will learn independence, confidence and self-esteem, and may even become a little more adventurous as a result. Want kids who are willing to try unfamiliar foods or give a shot to new activities? Set that example yourself. Note that it’s very important to provide positive motivation – pushing a child too hard to try something they’re not into can have the reverse effect and cause them to become even more insecure. The majority of coupled people get into arguments with their significant others from time to time. It’s an unavoidable part of navigating complex adult relationships. 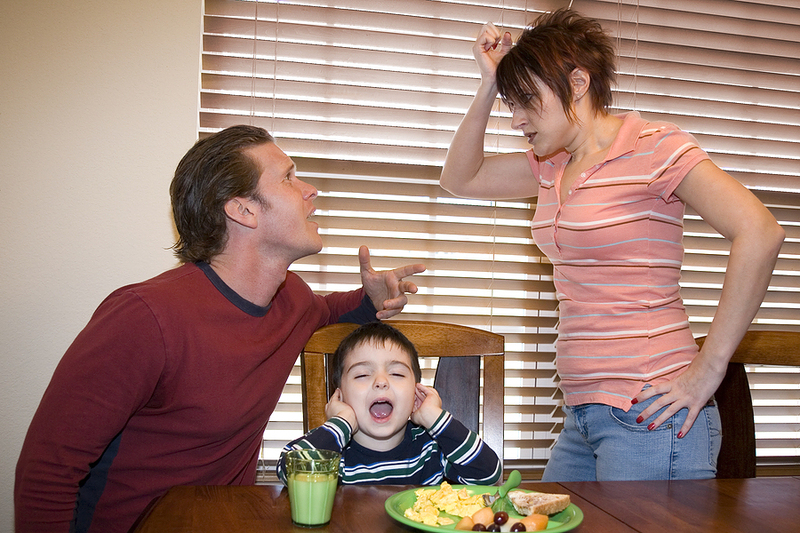 But arguing or bickering is not fun, and even worse, it can be profoundly emotionally damaging to your children. Experts report that kids who frequently watch their parents argue tend to be less emotionally stable and exhibit more symptoms of depression and anxiety than children whose parents don’t bicker much. Even though it can be tough to see your kid fail at something or lose a match, it’s important not to let our own desires to win affect their perception of competition. 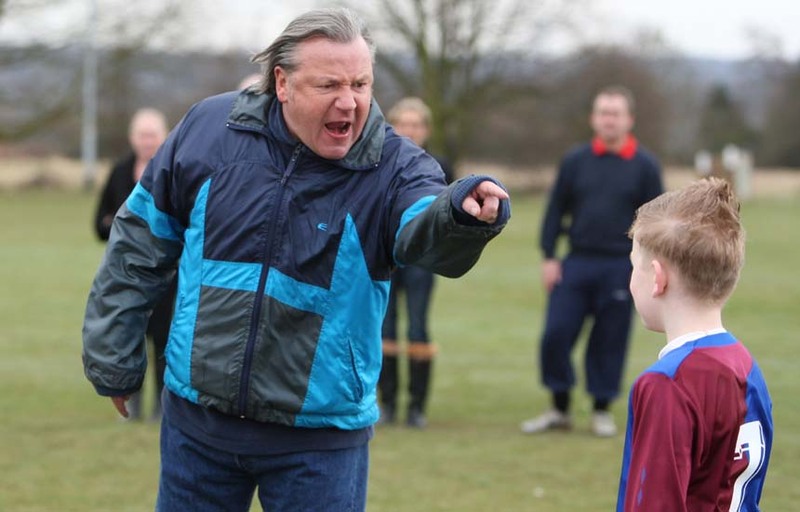 If you’re overly competitive in your own endeavors, your child will pick up on those behaviors and mimic them. Learn how to be a good loser and your little ones will follow suit. It’s also important to use positive reinforcement. Praise your child for their effort even if they fall short of their intended goal, emphasizing that the activity and not the outcome is what’s important. And never use comparisons to others (siblings, classmates, friends) as a motivator – that will only cause your kids to become more withdrawn and less motivated. If you are one of those people who overreacts to every little event (spills and other things that don’t really matter), you need to learn how to stop it now. Things that are out of your control usually aren’t worth going into a full-blown crisis over, and if your kid sees you overreacting to trivial details, they’re not likely to learn how to cope with life’s little problems in a very healthy way. Here’s what you can do: when you feel that you’re about to have a freak out over something, try and breathe deeply while thinking about the problem at hand. It helps some people to rank the issue on a scale, with 10 being a legitimate emergency and 1 being the least important. This can give you some perspective to react accordingly. 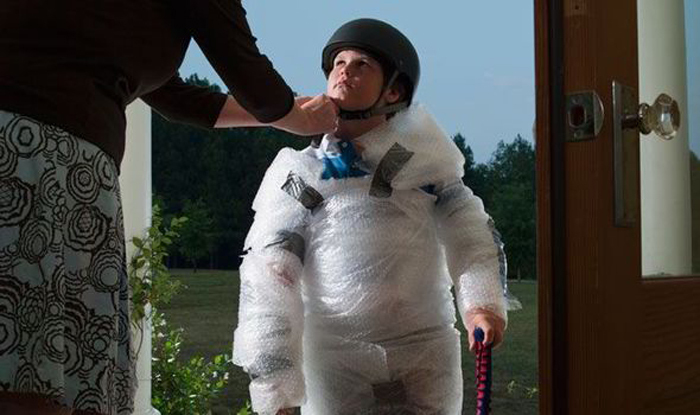 Your kid will notice when you handle life’s little inconveniences in a calm, cool, and collected manner. Some parents might feel that sharing physical affection in front of their children is inappropriate, and avoid all contact with their partner when kids are around. But the truth is that loving and age-appropriate affection is not just okay, it can be a great example of what a caring relationship looks like. Are you a glass half full or a glass half empty person? Chances are, your kids are the same way. Children pick up on our attitudes and judgments. If a parent consistently expresses a negative outlook on things or complains about everything, their kids will follow suit. Likewise, and optimistic person is more likely to raise optimistic children. 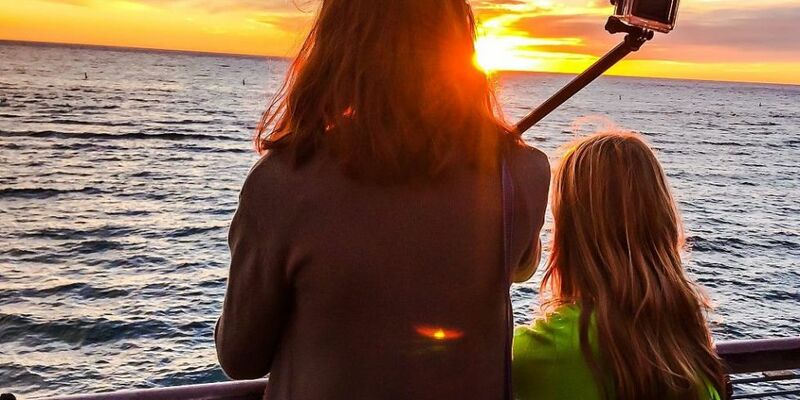 If your tendency is to lean toward the “glass half empty” side of life, there are things you can do to change your attitude and pass the benefit on to your mini me. One great tip is to keep a gratitude journal that you write in each night. Seeing a list of all the things you’re thankful for is bound to put a big small on your face, and your child will surely notice the difference. Divorce is rough, as is dealing with difficult in-laws or a teacher you don’t particularly care for. But if you make a habit of badmouthing the people in your kid’s life, you risk hurting the bond of parent-child trust as well as your own reputation. A child who hears a parent complaining or saying negative things about people they love can suffer emotionally as a result. After all, these loved ones are often role models to your kid, who might even start to wonder what you say about them when they’re not around. Even petty venting counts as badmouthing. Don’t do it in front of your child. Not to mention, how would you feel if your kid repeated the info to others? Pretty embarrassed, we’d bet. It’s a basic human behavior to protect our young – no one wants to see their child get hurt or suffer in any way. But some parents take this action a little too far, when it might benefit their children more to experience some failures or boo-boos along the way. 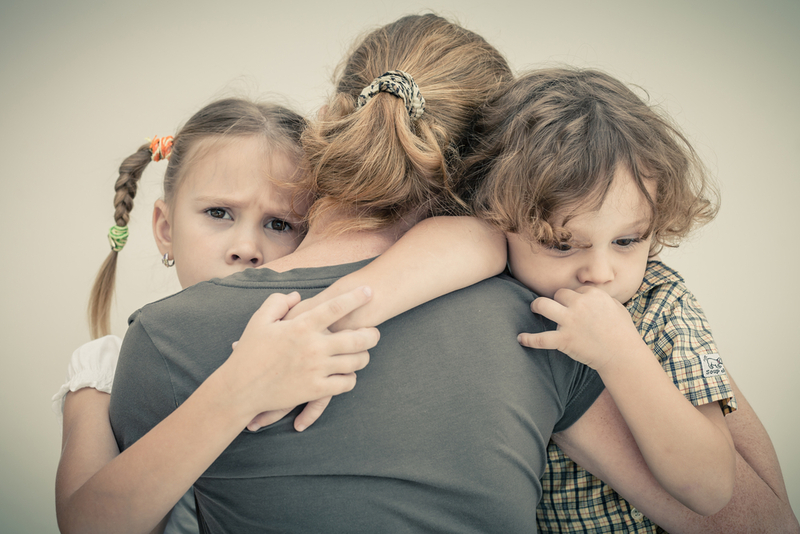 Being overly protective and trying to control every situation is not only stunting to your child’s growth, but it could backfire in an unintended way. 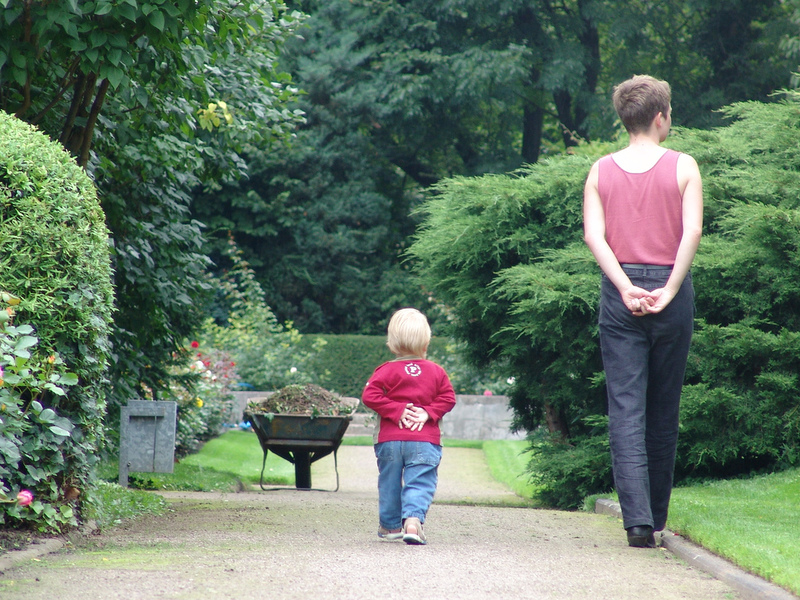 Many children who grew up with controlling or domineering parents end up rebelling big time later in life and turn to exactly the types of behaviors parents were trying to prevent. Give your kids room to make their own decisions and mistakes sometimes. They’ll thank you for it later. No one wants to be the “bad guy” in a parenting role, but a failure to discipline our kids in a consistent way does nothing but harm them. Part of good, responsible discipline is establishing consequences and following through with them. Idle threats won’t teach a child anything useful. Children need discipline – it gives them some fundamental behavioral tools they’ll use as responsible adults. Some proven benefits of effective, fair discipline include decreased anxiety levels, improved leadership skills, and better decision-making abilities. If you haven’t been following through with enforcing consequences, you should try and start to do so ASAP. This might seem obvious, but even people who teach their children impeccable dental hygiene don’t always practice what they preach. And several surprising studies have shown that a mother’s poor oral hygiene can negatively affect her children later in life. One of these studies, published in a 2011 issue of Journal of Dental Research, found that “mothers with poor oral health are likely to have children who also have poor oral health when they are adults….Nearly half (45 percent) of the children whose mothers rated their own oral health as ‘very poor’ had severe tooth decay, and four in every 10 participants had tooth loss as adults.” The study’s authors stress that parents need to improve their own oral health even when they’re teaching their kids better habits. Floss those teeth, parents!